For the Blu-ray and digital releases of ‘The Next Generation’ series, CBS will use the original film negatives spanning over 25,000 reels of footage to recut all the episodes exactly the way they were originally presented. That fresh film will get a high-def digital transfer with sound upgraded to 7.1 DTS Master Audio. 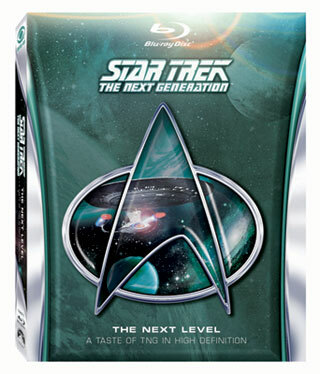 Star Trek: The Next Generation — The Next Level on Blu-ray Disc will retail for $21.99. I’m sure there are some people still buying them, but I’ve never added ANY of these series’ to my collection because they’re priced so far out of the normal range – $60 for a single season?! I’d love to have these, but I just can’t see why they want so much for so little.